As the moon progresses through its 27.3-day orbit, its angle with respect to a line from the Earth to the sun changes daily, and Earth observers see varying amounts of its surface illuminated by sunlight. As it moves from new -- when it's invisible -- to full -- when its full disk is illuminated -- it appears to grow, or wax. When it moves from full to new, it appears to shrink, or wane. It isn't difficult to distinguish whether the moon is waxing or waning, no matter where on the Earth you live. Look for the moon at sunset. If you can see it, it's waxing. 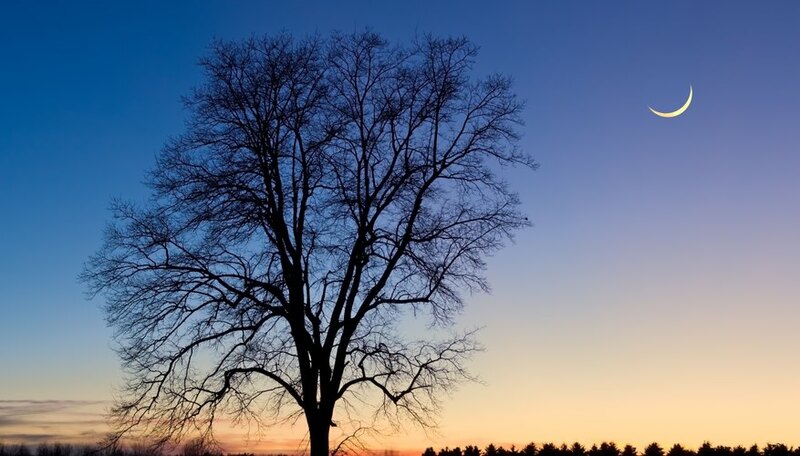 After full moon, when it's in its waning phase, it isn't visible at sunset. As it approaches new moon, it rises ever later in the night until it reaches its waning crescent phase, when it rises just before sunrise. Note its shape. If you live in the Northern Hemisphere, the part of the waxing moon that is in shadow is on the left, and when the moon is waning, the shadow part is on the right. If you live in the Southern Hemisphere, the shape is reversed; the shadow part of the waxing moon is on the right, and that of the waning moon is on the left. Check the weather section in your local newspaper if you're experiencing cloudy weather and can't see the moon. Most weather reports include the current moon phase. When the moon is close to full, it can be difficult to tell whether it's waxing or waning by looking at its shape. The best indication is the sun's position when the moon rises. If both are visible, the moon is waxing, but if the sun has already set, the moon is waning. Cornell University: Curious About Astronomy? How Is the Moon Positioned When There Is a High Tide? Deziel, Chris. 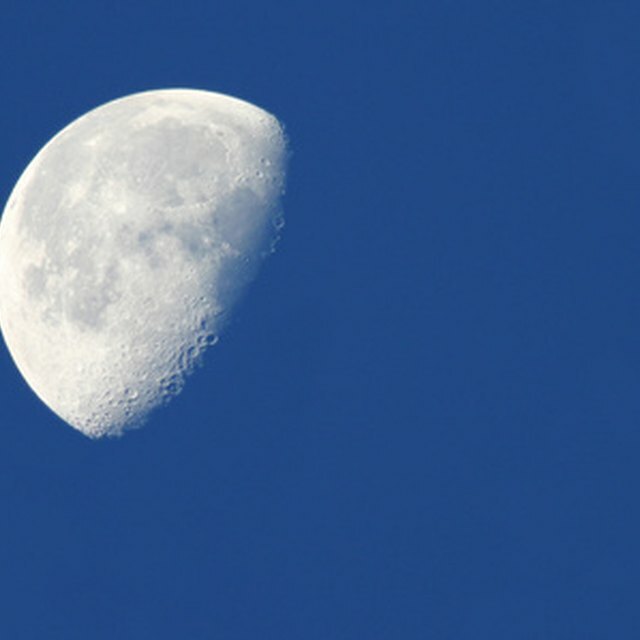 "How to Tell if the Moon Is Waning or Waxing." Sciencing, https://sciencing.com/tell-moon-waxing-waning-2148347.html. 24 April 2017.